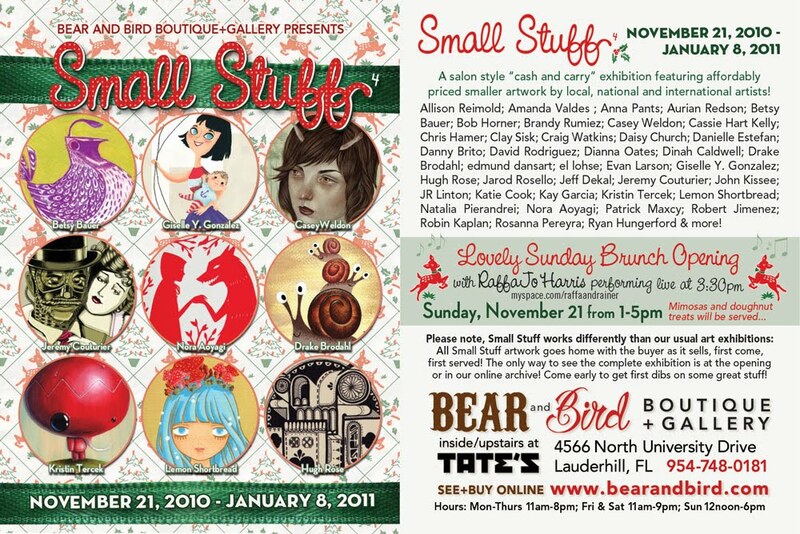 Am participating in a group art show 'Small Stuff 4' which will open on Nov 21st. There's gonna be food, music and lots of beautiful small-sized original art by local & international artists on the launch day party. 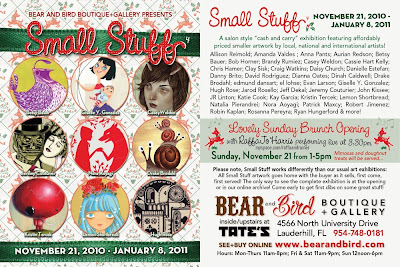 Best of all the artworks are priced to sell, because this show is held specially for the Christmas gift-giving season! Don't forget to drop by if you're close! The artworks can also be bought online from their website. Will share the 5 paintings I made specially for the show on my next blogpost perhaps. That is right around the corner from me! :) Congrats... thanks for stopping by my blog!